On this page you can search for news, events and lectures – both past and future – at the UWA Confucius Institute. Enter keywords in the search box and then filter the results with the buttons below. 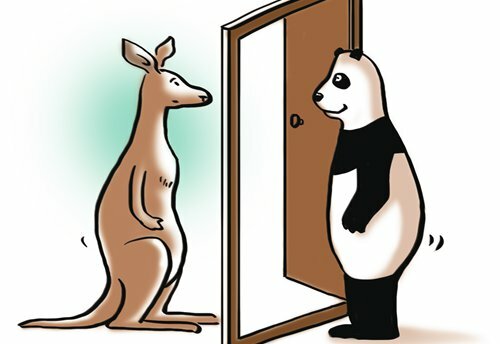 Is China's rise in Australia a threat? Our panel of experts explore the issue in the latest China in Conversation forum. The sixth annual Australia-China Centre for Transcultural Studies (ACTS) Symposium was held at UWA on 28 - 29 December 2018. Does China present an opportunity or a threat? Our panel of experts bring decades of research to a discussion on the current relationship with Australia. The Beijing Dance Academy showcased China's vast ethnic heritage in this performance at the State Theatre Centre of WA. 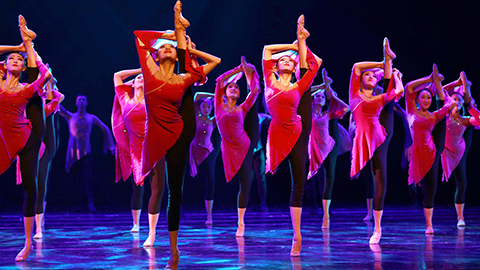 Celebrate China's National Day with a magical performance by Beijing Dance Academy. 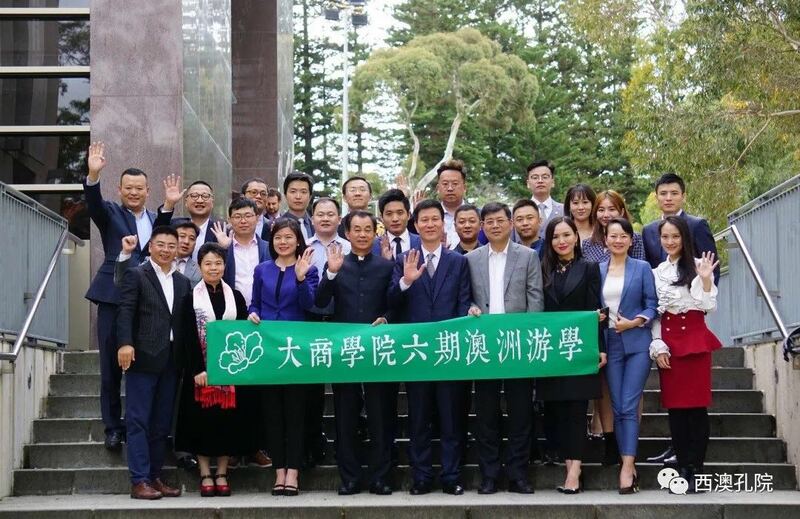 The Confucius Institute helped bring members of China's business elite from Dashang Business School in Shanghai to Perth for a four-day business trip. 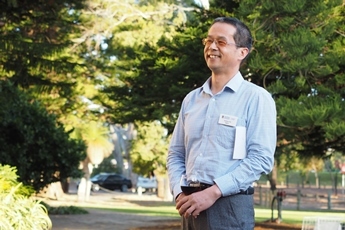 The Confucius Institute warmly welcomes our new Director, Associate Professor Ying Jiang. 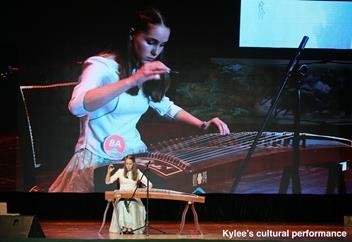 The Confucius Institute is running its popular school holiday Chinese Cultural Activities program. Book now to avoid missing out! 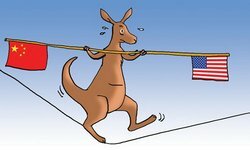 The rise of China has triggered fierce discussion in Australia as to how to manage the relationship with its largest trading partner. Perth student Anna Bullard wins the 2018 Regional Final of the Chinese Bridge language competition for secondary students. The 21st century has been dubbed the Asian century as the growth of China’s economic and political influence puts pressure on the existing world order. A range of talent was on display at the WA Final of the Chinese Bridge (Hanyu Qiao) Competition for secondary school students. UWA student Theo Stapleton has won the 2018 Australian regional final of the Chinese Bridge (Hanyu Qiao) language competition for university students. Secondary students wishing to take part in the 2018 Chinese Bridge (Hanyu Qiao) competition must register by Friday 4 May. 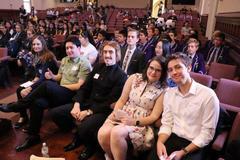 Secondary students who took part in the 2018 China Experience tour have returned to WA. 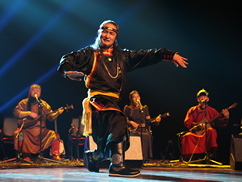 Performers from Inner Mongolia Arts University recently enthralled audiences in Perth and Geraldton. 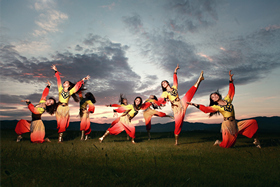 Celebrate Chinese New Year 2018 with a special performance from Inner Mongolia Arts University. On November 30, 2017 friends and colleagues of Associate Director Chu Xianhua gathered together to reluctantly bid him farewell. Kylee Kotula, 16, of City Beach has been crowned an Oceania champion in the 2017 global final of the Chinese Bridge (Hanyu Qiao) language competition. We are delighted to announce Confucius Institute Associate Director Chu Xianhua has won the inaugural Australia China Friendship Society WA Friendship Award. 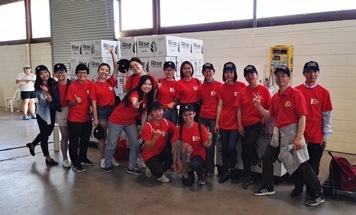 In October, Confucius Institute teachers and volunteers helped pack meals to provide hunger relief to schools and orphanages in East Timor and Madagascar. In the past debates have focused on whether Confucianism is in conflict or compatible with democracy. China's Zhejiang Art Academy helped us celebrate Confucius Institute Day and the 30th Anniversary of the Sister State relationship between WA and Zhejiang. Celebrating Confucius Institute Day and the 30th anniversary of the Sister State relationship between Western Australia and Zhejiang Province. 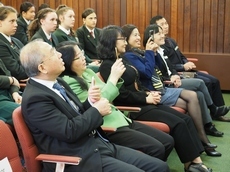 On the afternoon of August 24, 2017, the Chinese Ambassador to Australia and their entourage visited the Confucius Institute at UWA. A conversation between Professor Tiejun Wen from Renmin University and Professor Kadimbot Siddique from the UWA Institute of Agriculture. 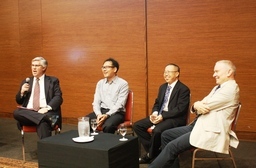 A conversation between Professor Yang Yao from Peking University and Professor James Laurenceson from the University of Technology Sydney. The winner of the 2017 Chinese Bridge competition was Kylee Kotula from Methodist Ladies' College, WA. Three Oberthur Primary School students - all from the same family - recently won first prize in the Confucius Institute's Short Film Competition. A conversation between Professor Wang Jinghui from Tsinghua University, China and Professor Nicholas Jose from The University of Adelaide. A roundtable discussion between Dr Jeffrey Wilson from the Perth USAsia Centre and the Asia Research Centre at Murdoch University. Chinese New Year celebration with Wenqin! The Year of the Rooster kicked off with a colourful splash of Chinese culture when more than 20 young performers from the renowned Zhejiang University Wenqin. The Confucius Institute and UWA Business School presented a China in Conversation on ?One Belt, One Road and Australia? at the University Club. In this forum, Chinese and Western medical experts discussed the differences between their respective medical traditions. 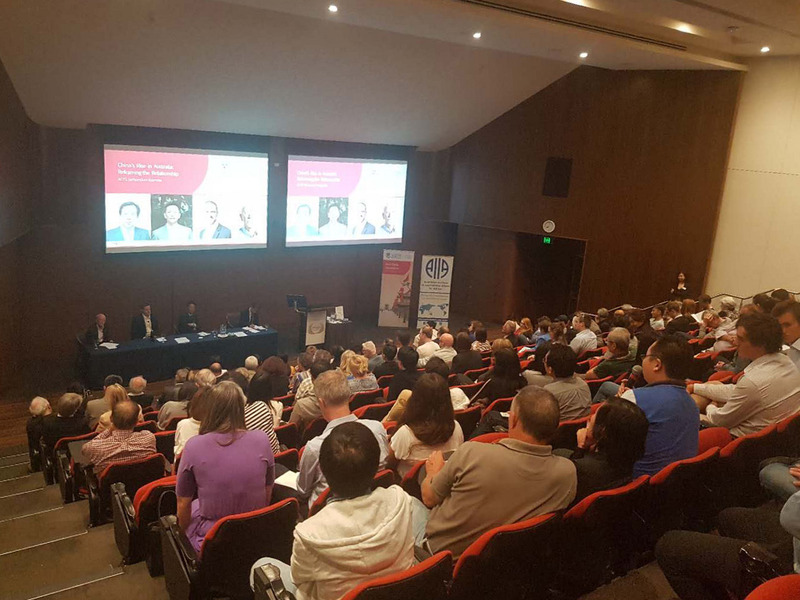 This inaugural 'China In Conversation' Forum was jointly-organised by the Confucius Institute at UWA and the Perth USAsia Centre.